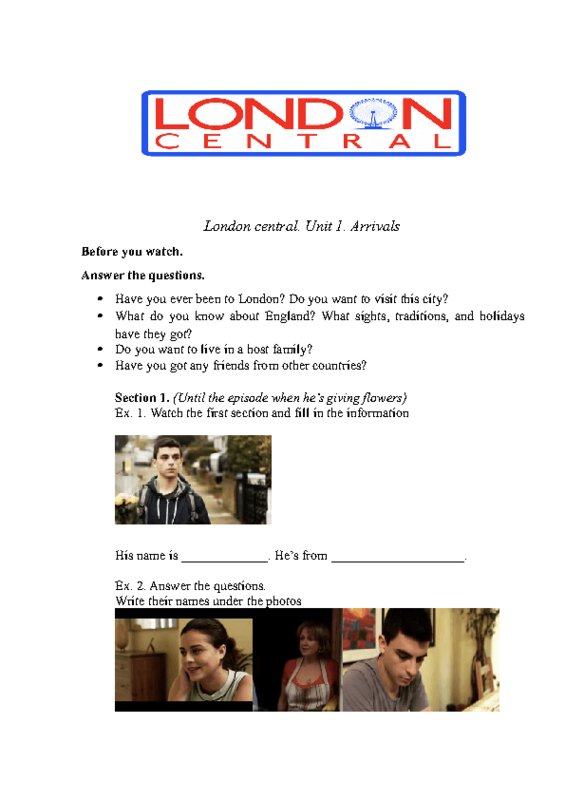 This is a worksheet for the first episode of the TV series London Central. It contains watching, writing and speaking exercises about the first acquaintance and some simple phrases for meeting new people. Suitable for beginners and elementary students, probably for pre-intermediate too, especially for students who want to improve their speaking level.